The advent of modernity brought with it a crisis of faith. Science had upended the religious certainties of earlier eras, and believers in the West were cast adrift. Some turned to a strident fundamentalism while, more recently, growing numbers have shunned religion altogether. 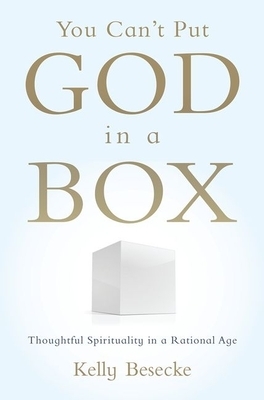 In You Can't Put God In a Box, Kelly Besecke offers a fascinating examination of people who have found a middle way-what is known as "reflexive spirituality." Those who practice reflexive spirituality, Besecke shows, draw equally on religious traditions and traditions of reason in the pursuit of transcendent meaning. They prefer metaphor to literalism, spiritual experience to doctrinal belief, religious pluralism to religious exclusivism or inclusivism, and ongoing inquiry to "final answers." They find inspiration in liberal theologies of any number of faiths, and allies among the "spiritual but not religious." Besecke draws on original qualitative data to describe how people practiced reflexive spirituality in an urban United Methodist church, an interfaith adult education center, and a variety of secular settings. By doing so, she provides a window into the theological thinking of educated spiritual seekers and religious liberals, and shows how they have come up with a unique way of addressing the problem of modern meaninglessness. Kelly Besecke is a writer and editor in Austin, Texas. Formerly a professor of sociology at Colorado College and Kenyon College, she graduated from Carleton College and received her PhD from the University of Wisconsin-Madison. Her research has been honored with a Louisville Institute fellowship and an award from the American Sociological Association's Section on Sociology of Religion.